Were you all anticipating Persona 5 at Sony’s PlayStation Experience? I know I was. So imagine my excitement when Sony finally brought it up during their keynote! Exciting, right? Right. And then… absolutely nothing happened. They showed us the logo on screen, and confirmed that the game, which was announced for a PS4 release alongside the PS3 version for 2015 back during TGS, will in fact be releasing on PS4 alongside PS3 in North America shortly after the Japanese release also. Yep, that was it. They didn’t even give us a specific release window, or even confirmation of a European release date. They did send us this trailer later, though. It’s a very cool trailer, and a neat way to debut the game. Unfortunately, it is also the same trailer that we got back at TGS, with nothing changed. 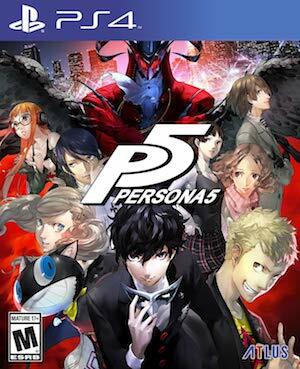 Persona 5 is due out next year on PS3 and PS4 in Japan and North America.